On Monday 21st I’m trying out the Kindle Direct Programme for the first time and offering two of my books free for a limited period of time just to see what happens. 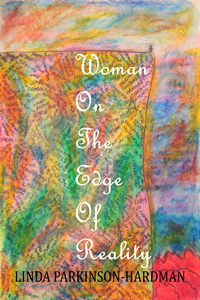 The books are Woman on the Edge of Reality which is a novel that is NOT based on this blog, it just happens to have the same name 🙂 and the second is the newest addition to the stable of LPH which is Broadcasting Powerful Messages with Twitter. Woman on the Edge of Reality: If you would like to grab yourself a free copy then it starts being free from about 7.00am on Monday and will remain free until 7.00pm on Tuesday in the UK. In the US the times are midnight on Sunday to midnight on Tuesday. 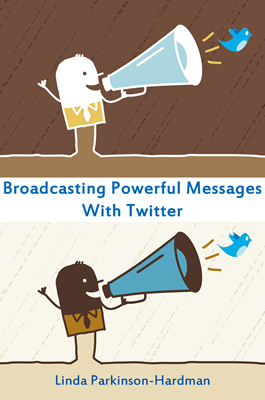 Broadcasting Powerful Messages with Twitter: If you would like to grab yourself a free copy then it starts being free from about 7.00am on Monday and will remain free until 7.00pm on Monday evening in the UK. In the US the times are midnight on Sunday to midnight on Monday. I have no idea what may happen when I try this out but I’ll let you all know what does happen – I’m just hoping that it won’t be all over with nothing more than a whimper, but if that’s the case I’ll tell you that too. I have followed several discussions about Select over the past few months. It seems that there is no overall consensus about whether it helps sales or not. I have decided to stay out of it just ‘cos it’s easier. “OLIGARCH” is The Weekly Word – how would you use this word?